When photographing weddings, it’s very important to compose, look for moments, and see the light. It all came together this afternoon in a very simple image. The Omni Homestead hosted Sharon and Onkar’s wedding. There were two ceremonies, a traditional Indian wedding in the morning, and a western ceremony in the afternoon. 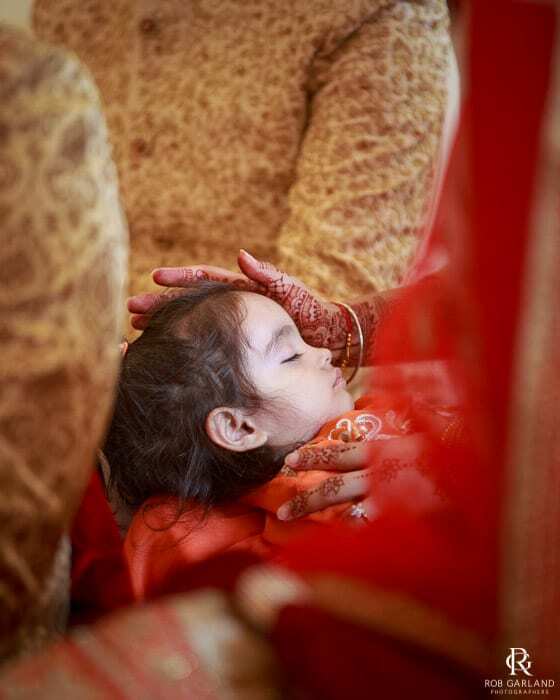 During the traditional Indian ceremony, I noticed this little one drifting off to sleep with the window light was perfectly cast on his face. The gesture of the hands is an important component. You can see the tremendous detail on the hands along with the feel of a caring mother’s touch. The ceremony was held in the Dominion Room while the outdoor ceremony was at the Golf Advantage School, a wonderful outdoor location with the view of The Homestead second to none. The Omni Homestead is a perfect venue for one’s nuptials, as it can the house weddings of all sizes. Cali and Rachel are exceptional members of the staff and a joy to work with when planning and executing your event. I highly recommend them. Sharon and Onkar came to Charlottesville for their engagement session and I had a wonderful afternoon getting to know them and enjoying the wonderful day we had in downtown Charlottesville. We went to The Paramount Theater, the tracks, and many of the local businesses and alleys in the area. Congratulations you two! I enjoyed my time with you both and look forward to seeing you again soon!